Unless you've been living under a rock like Patrick Star, you've probably heard of the small kitchen appliance known as the Instant Pot. But in case you don't know what it is, I shall explain. Are ya ready kids? 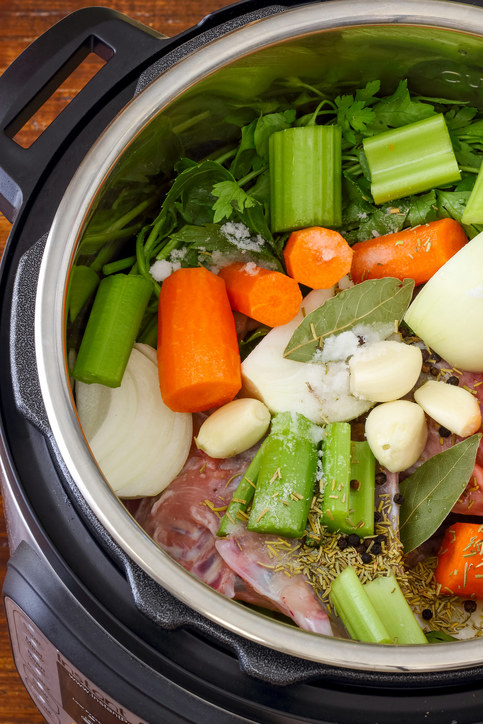 The Instant Pot is a multi-cooker device that can steam, sauté, brown, warm, and you can use it as a rice cooker, slow cooker, and yogurt maker. It's the best and it's been reviewed all over the internet. The Instant Pot is an electric pressure cooker made of three parts: the lid, the removable cooking pot, and the housing unit. The cooking pot is made of three-ply stainless steel, which basically means whatever you're cooking is being evenly cooked at all times. There is a smart control box on the housing unit with programmable cooking options, and safety features to ensure the Instant Pot won't cook unless the lid is properly on. 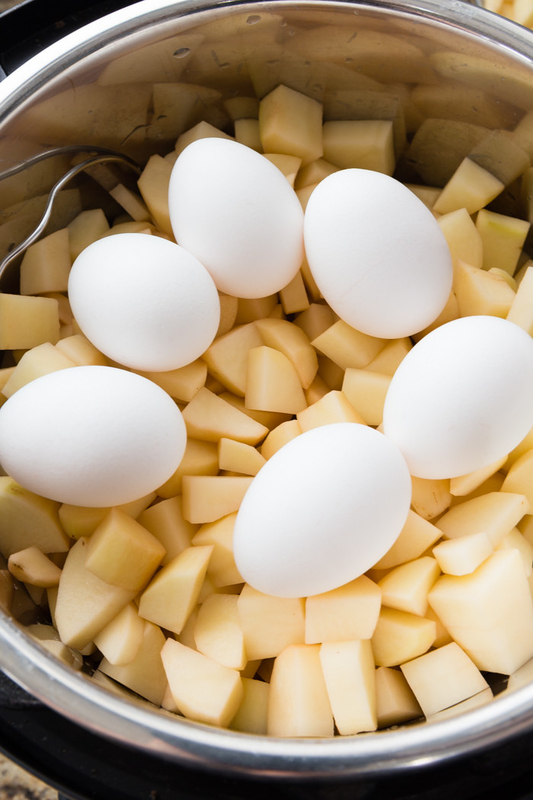 The Instant Pot does it all, and it does it all faster (peas, corn, and broccoli can be steamed in 1 minute, whole potatoes in 10–12 minutes) than whatever ~other~ appliances you're using to make mashed potatoes, fried rice, stuffed peppers, soups, casseroles, and much much more! Check out an Instant Pot review for more deets. 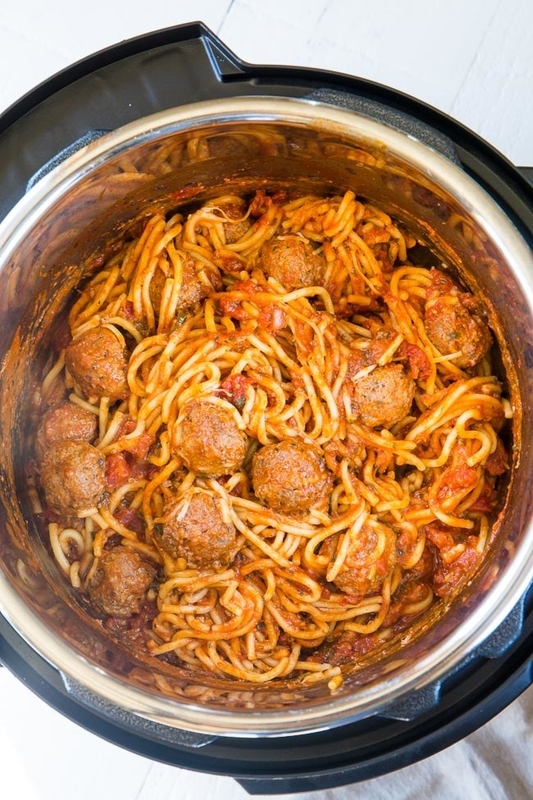 So get your hands on an Instant Pot (if you don't have one already) and get cooking! Get the Instant Pot from Walmart for $59.92+ (available in 3 QT, 6 Qt, and 8 QT sizes). 1. A breakfast casserole filled with eggs and hash browns the whole fam will be bEGGing you to make every morning. Get the full recipe from The Typical Mom. 2. A cinnamon banana oatmeal recipe you can throw together as soon as you're up in the morning and breakfast just might cook itself before you slip into your OOTD. Get the full recipe from 365 Days Of Crockpot. 3. A French toast Instant Pot recipe that'll look tasty enough to get even the sleepiest, grumpiest, "I'm just gonna snooze for five more mins" person out of bed (me) pronto. Usually it takes a "I made you coffee" to get me to rise and shine, but this would do it 😍. Get the full recipe from Living Locurto. 4. A creamy, easy mac and cheese your magical pot shall cook up in only five minutes! Sound the alarm, how is this possible. 5. A shredded chicken taco that'll make you say "this is spec*taco*lar." 6. 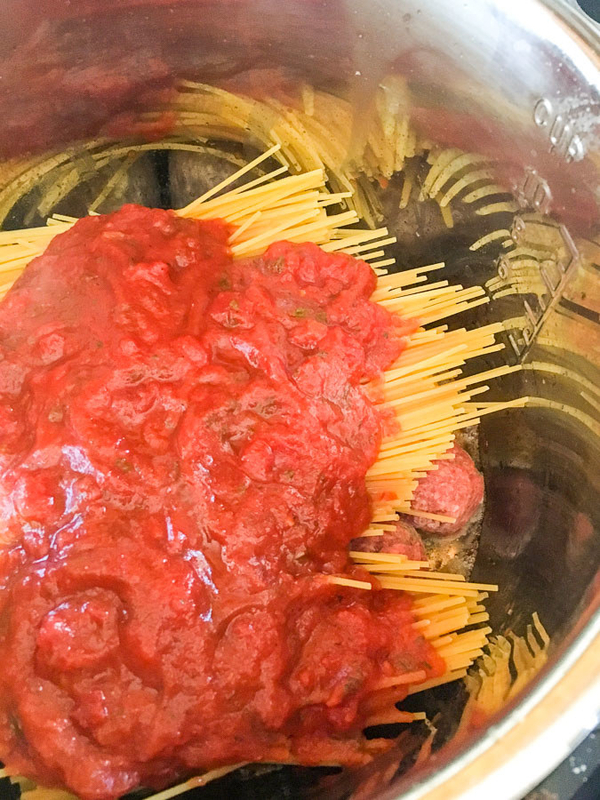 A spaghetti and meatball meal made to cook all in one pot, because sometimes boiling water is just too much effort. Get the full recipe from I Wash You Dry. 7. A vegan chickpea curry you can throw together and enjoy in only 30 minutes. Gather your veggies, this looks delish. Get the full recipe from Chef De Home. 8. A garlic herb shrimp and spaghetti squash recipe to eat up on those summer nights when it's so hot, you don't even want to look at the oven. 9. A French dip sandwich for anyone who wants to seriosuly (but easily) step up their lunch game. 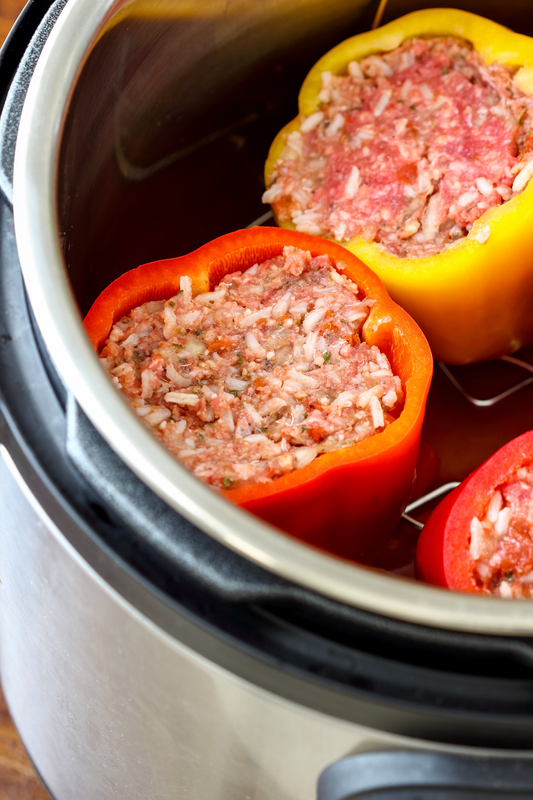 Get the full recipe from Slow Cooker Gourmet. 10. A saag chicken recipe that'll ~spinach~ your head right round. Get the full recipe from 40 Aprons. 11. A pressure cooker ramen noodle soup so you can indulge your late-night ramen cravings without leaving the comfort of home. Get the full recipe from Steamy Kitchen. 12. A tortellini, sausage, and kale soup you'll *tortellini* want to include in your weekly meal plan. This is the perfect recipe to test out the slow cooker function of the Instant Pot IMO. Get the full recipe from Foodie Crush. 13. An easy Instant Pot tomato basil tilapia dish because tomato and basil go together as well as stress and being pressed for time — this babe cooks up in just a few minutes and solves both problems! 14. 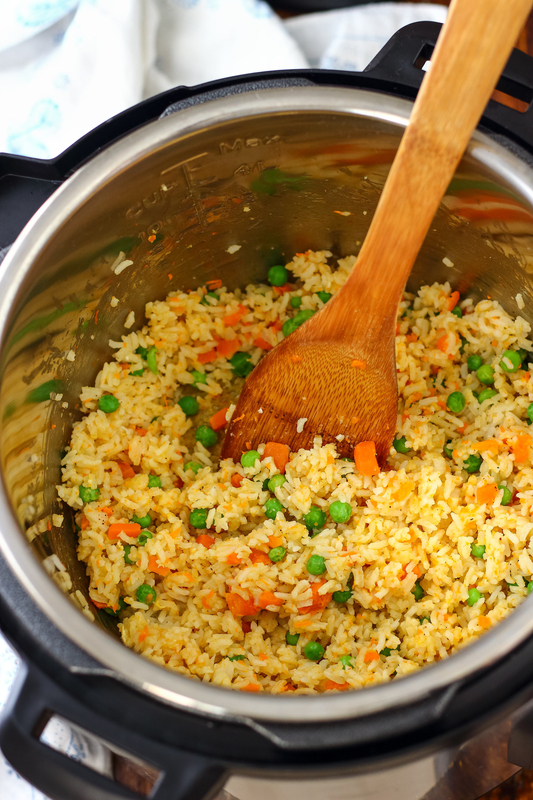 A veggie fried rice the Instant Pot will steam and sauté. Bye rice cooker! 15. 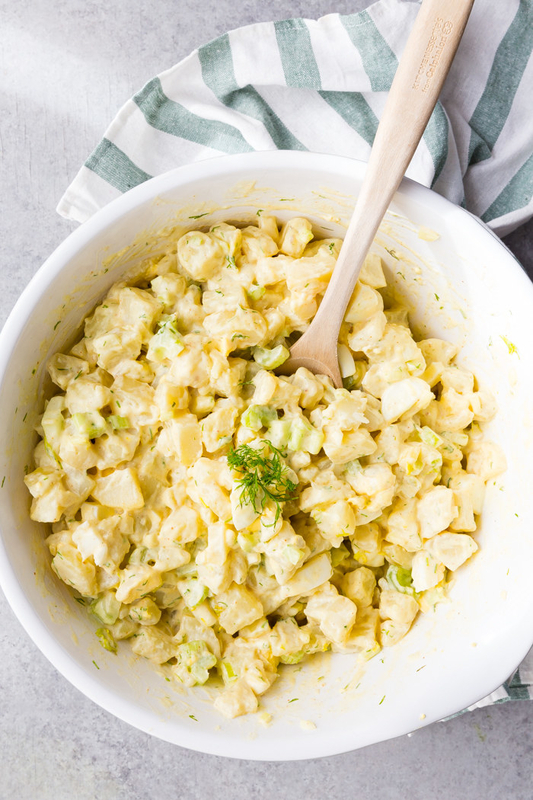 A super quick potato salad for anyone who makes this delish side dish all summer long and is always looking to improve their recipe (me). Quicker cooking is the best way to improve any recipe. Get the full recipe from eazy peazy mealz. 16. A life-changing Instant Pot beef stew that just may ~meat~ and exceed your expectations. Hi I'm drooling, nice to meat you. 18. A chicken tortilla soup you can slow cook to perfection in 45 minutes, because there is clearly nothing the Instant Pot can't do. 19. A veggie lo mein dish designed for those of us who order takeout way too much because cooking, effort, and using three different pots and pans is a terror you can now abandon — you don't even have to drain the water in this recipe. Get the full recipe from Kirbie's Cravings. 20. A Mexican stuffed sweet potato that looks too satisfying and delicious to handle. 21. And a New York-style cheesecake worthy of breaking the Instant Pot out on those days when you need a heavy dose of decadence. Get the full recipe from little spice jar.